The graphic is circular in nature because the first four steps are ongoing and not a one time event. 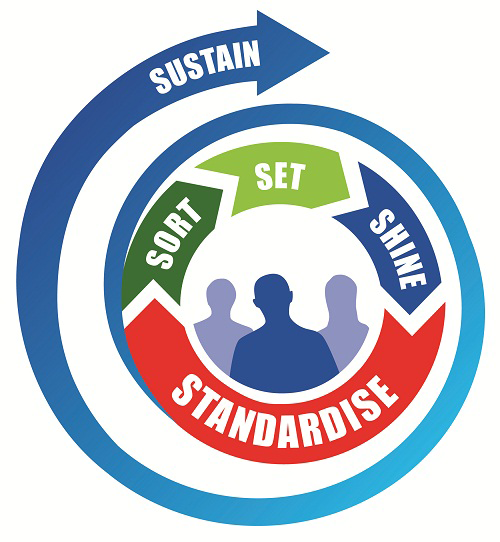 Sort, Straighten, Shine and Standardize are continually happening. Sustain is the glue that holds it all together. 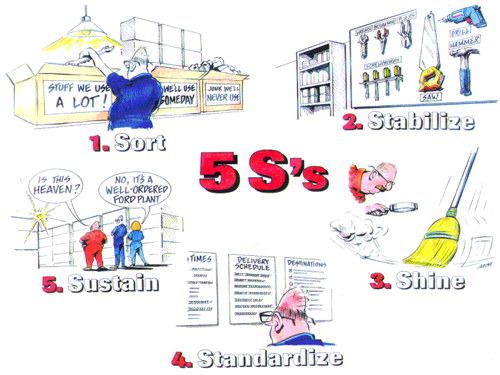 You have to sustain the other four steps in order to really be living 5S. 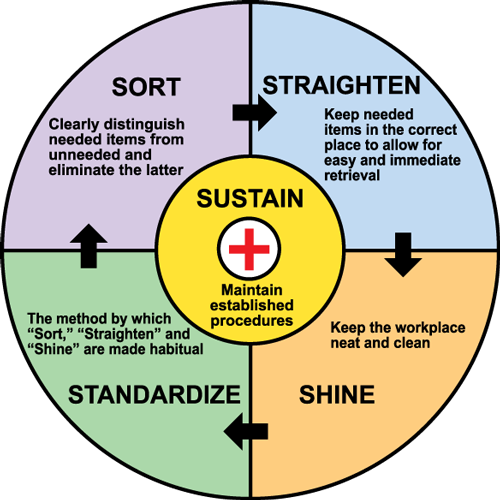 Sustain is the piece that makes the other four habits. 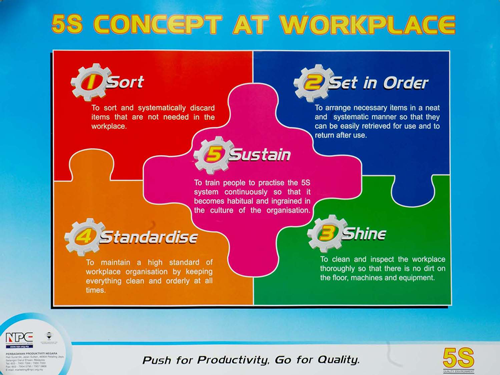 5S is a ways to improve workplace organization. 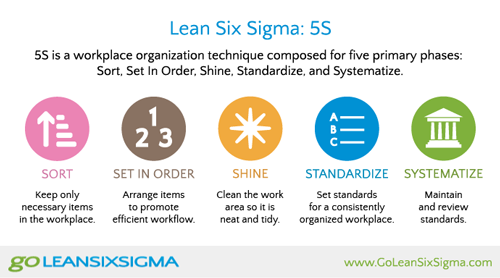 It is a 5 step process used to create a Leaner and more efficient working environment. 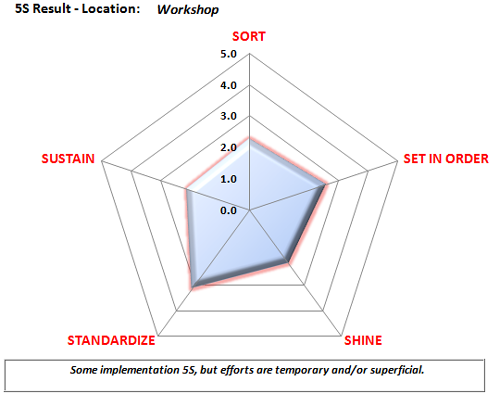 5S can be done as a stand-alone effort or as part of a larger Lean initiative. 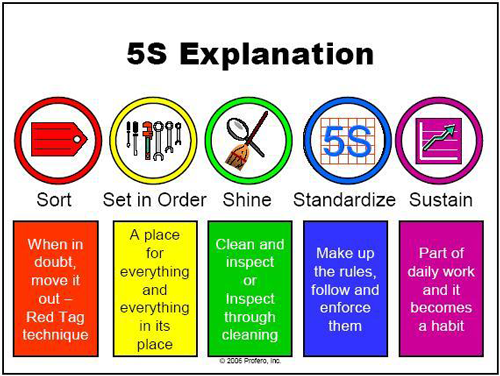 5S works when all the steps are followed to keep your workplace clean and accessible. 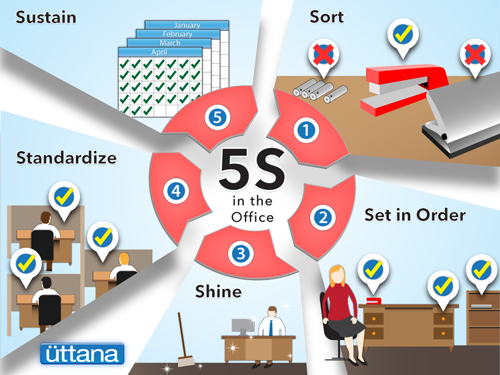 Check out www.uttana.com to discover more about 5S. Did we miss your 5S graphic? If so, please add a comment below or send us a message on Twitter with your update.